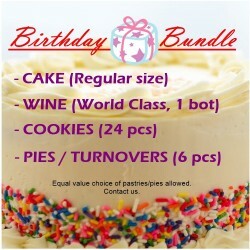 Pastry There are 15 products. 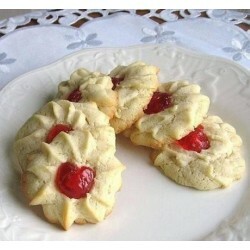 These cookies are perhaps one of my favorites. The only reason I don't make them more often is that I end up eating half of them even before they cool down completely. Our piped biscuits have a rich buttery flavor and a lovely crumbly texture. This biscuits are so cute to look at, and they tastes great too. We use only pure Ghana-processed cocoa to bring out a darker color and rich flavor. If you pop one into your mouth, you can't stop eating. 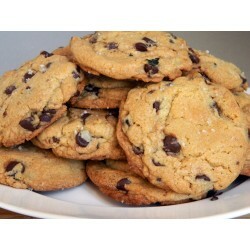 The chocolate chip cookie was invented by Ruth Graves Wakefield in Massachusetts, USA at her very popular restaurant. 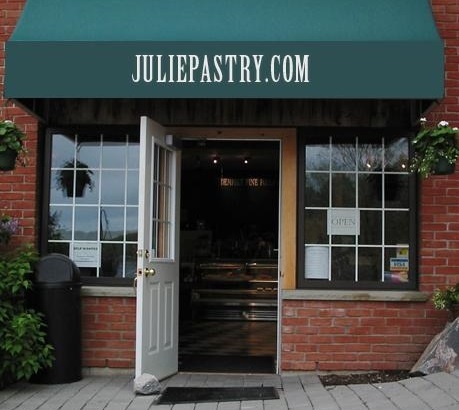 She said, "We had been serving a thin butterscotch nut cookie with ice cream. Everybody seemed to love it, but I was trying to give them something different". 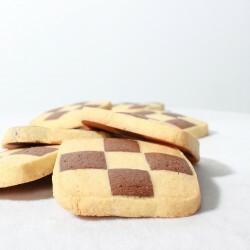 Our cookies are just as delicious as Ruth's so try them. 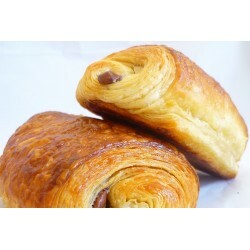 Our classic palmiers are flaky, multi-layered pastry treats rolled up in authentic Ghana cocoa. These delightful layered snacks can be eaten any time of the day with your favorite beverage. Take pleasure in the delicious simplicity of a coconut cookie, made with just a few humble ingredients, beautifully balanced for a classic cookie experience. A true celebration of Ghana's natural coconuts, known in the Ga language as "Akoshie". These healthy and delicious snacks should definitely be in your cart. 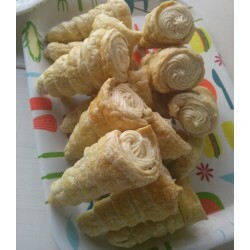 Our special cream horn is made with a puff pastry or shortcrust exterior and filled with any number of creamy pastry fillings - pastry cream, custard, sweetened whipped cream or butter cream, and topped with sugar crystals. An éclair is a type of long pastry that is filled with whipped cream or a sweet cream filling and usually topped with chocolate. 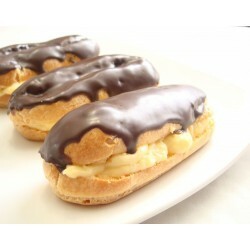 The word comes from French éclair 'flash of lightning', so named because it is eaten quickly. My family loves these and request them all the time. Try some to see how quickly you can eat them. 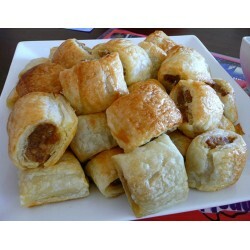 Our sausage roll recipe is the perfect treat for any occasion; sausage rolls make the perfect snack that can be enjoyed both hot and cold! 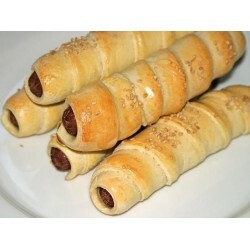 It is full of flavor and we only use the best quality sausages. Select your meat when ordering. 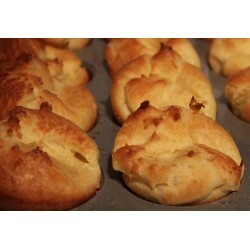 Nun's Puffs is a pastry originally from France. 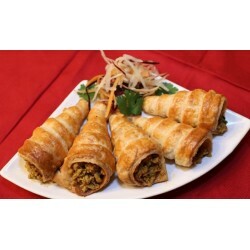 It is delicious, filling and has been described as "light tender morsels" that are "heavenly". 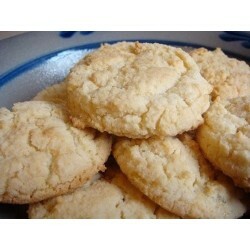 Kids and adults love oatmeal cookies. This crisp and chewy cookie is loaded with oats, dried fruit, and chopped nuts. Ours are not your average oatmeal cookie. 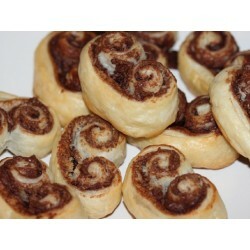 They are chewy, melt-in-your-mouth delicious! 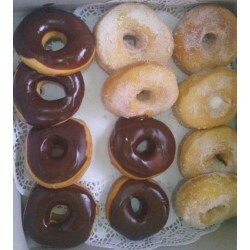 Nothing is as tempting as a fresh batch of donuts. Grab a batch and experience the flavor.